Have you heard of the NHS Long Term plan? Developed by health and care leaders in consultation with frontline health and care staff, patient groups and other experts, you may yourself have been involved in one of the 200 events held across the country, or sent in a comment as a member of one of the groups representing the interests of 3.5 million people. The government tells us it is investing £20 billion as part of this plan so it is important to have your say. In brief, this ten year plan plan sets out all the things the NHS wants health services to do better for people across the country. It has been developed to help make improvements to the NHS and our local NHS organisations and they and their partners will be expected to work together to make things happen. The plan covers ambitions for improving care at the beginning of life, like reducing stillbirths and mother and child deaths by 50%. It includes plans for bringing down waiting times for autism assessments, the prevention and early intervention for major health problems, like stroke or cancers and improving health education and exercise programmes. It also mentions increased spending on mental health care, and lastly the support for people who are getting older, through better coordination of care for example, and enabling increased independence and improved recognition of carer needs. So, the plan aims to improve life from birth to death and the health needs in between and then sets out ambitions on how to overcome the challenges presented in achieving this, like staff shortages and ever growing demand. These are very important aims for us all. To see the details, go to the website. 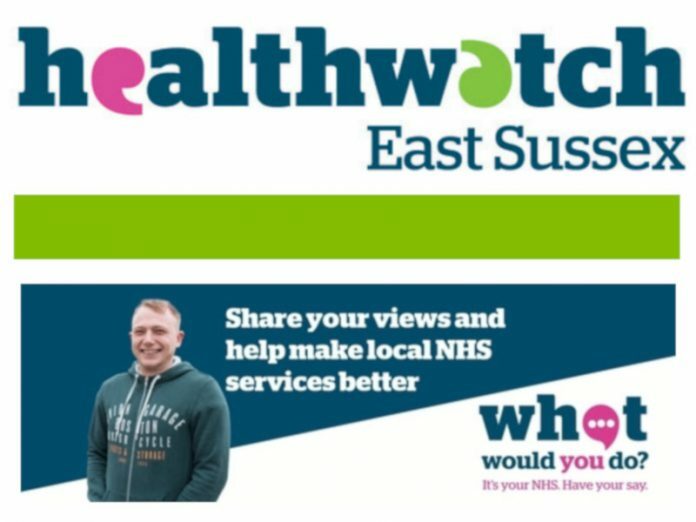 Locally, the organisation that acts as a watchdog for the NHS, Healthwatch East Sussex, the county’s independent health and care champion, has a couple of surveys it hopes that you will want to complete. To see them, go to their website and click on one of the “Tell us what you think” links.